This weeks prompt for Top Ten Tuesday is Top Ten Unique Book Titles. Which presents a problem because as I was going through my kindle I realized that title wise nothing was jumping out at me as unique. I think that once you are familiar with a book's title it stops feeling unique and kind of starts feeling like, "Oh, of course that is a phrase that we use." But more often there seems to be a patterns in the titling of books. Maybe it is a marketing thing? Are people naturally drawn to certain words? But I am more interested in covers. As long as a title isn't totally embarrassing (Looking at you, Anna and the French Kiss) I can go with it. I would probably even buy a book with all these common words in the title. The Moon Queen's Mango Wife of a Hundred Thousand Glass Crows. You know you would read that. Actually, someone write that because I think I need it now. You knew that this was going to be on the list. 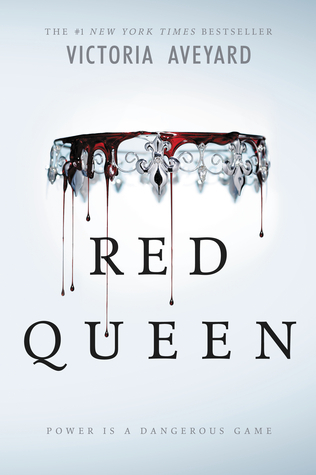 Is seems that a week can't go by without a book with "queen" in the title getting published. Are we all getting a little jaded about all the queens? Maybe. But that doesn't stop me reading about them. This one annoys me. Why is it that the main character of a book cannot be defined in any way but by the men she is related to. It is like that thing that men do when talking about how they respect women, "As a husband and a father..." Dude, you couldn't figure out that women were autonomous human beings before that? Is it because it makes for pretty covers? Or is the the suggestion of fragility and voyuerism? You be the judge. Another one that I totally fall for. My dad once told me that he always wanted a crow for a friend and maybe I do too. They are super smart and I am pretty sure that all of them are magic. You know the thing I am talking about. Honestly, this might be the most overused but I don't care. This is my favorite. I love the randomness of the words together. Usually they just sounds pretty. I love it more when you figure out what the title is alluding to while reading. If the book has the word mango in I have to read it. That is the law. Why am I so weirdly attracted to these books? I do love the fruit but there is something about the word that catches my notice every time. Cait's at Paperfury's upcoming book! I like it. Automatic familiarity and it sounds pretty. Other words that I have noticed: Autumn, Sun, Magic, Apple, Roses, Paper, Gold, and Beauty. Do you have words that always attract you to the book?